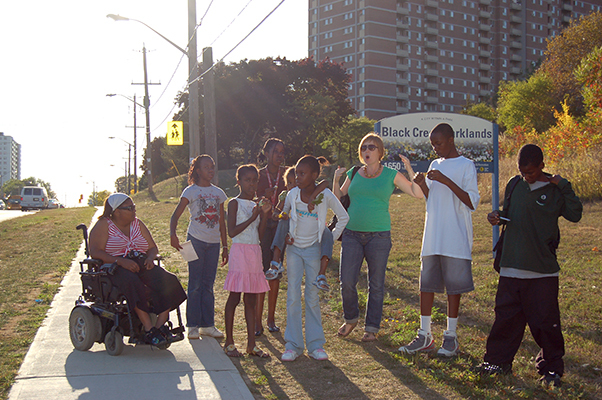 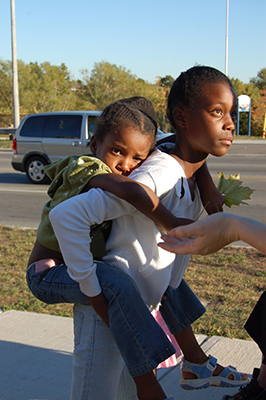 In September 2007, the Art Gallery of York University organized Black Creek United, a two-month interdisciplinary art workshop that took place at “The Spot”, a youth drop-in centre located in Yorkgate Mall. 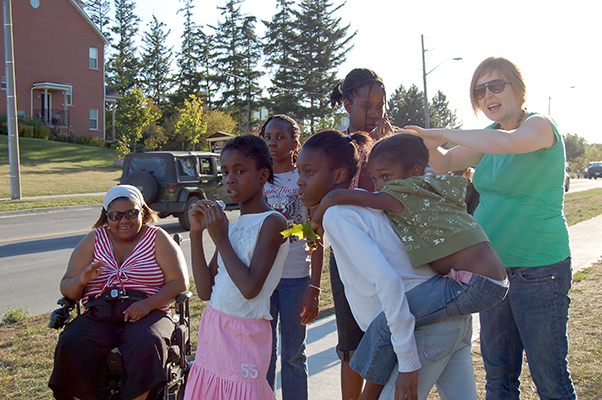 Taught by community artists Liz Forsberg and Laura Reinsborough the workshop culminated in an exhibition of photographs at the Spot and the AGYU, as well as a youth-led community art walk along the Black Creek on November 3, 2007. 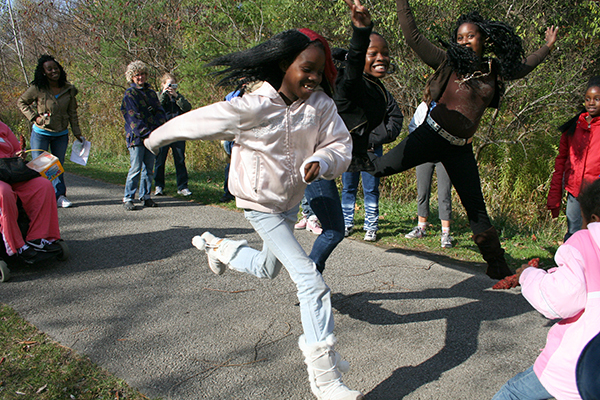 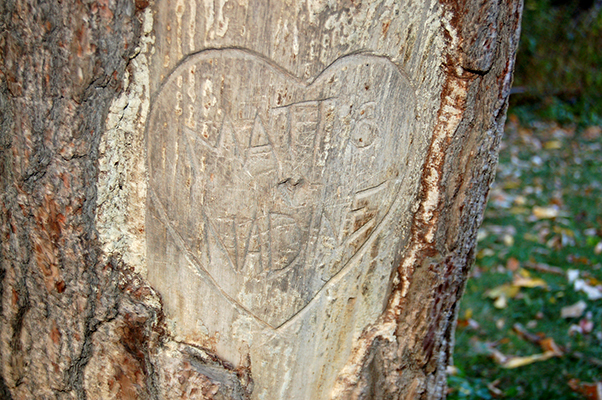 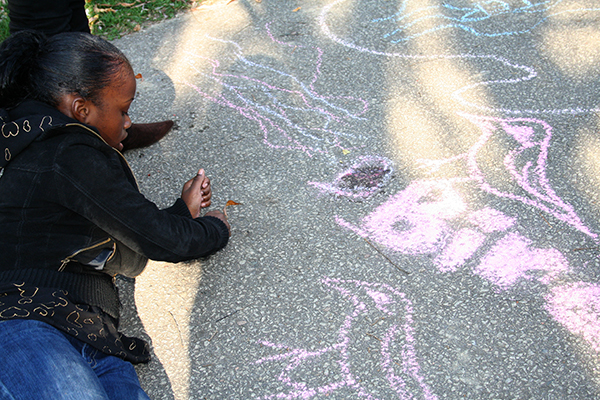 This art-based walk provided an occasion to celebrate the creek and share the ecological knowledge that youth had acquired about this unique habitat. 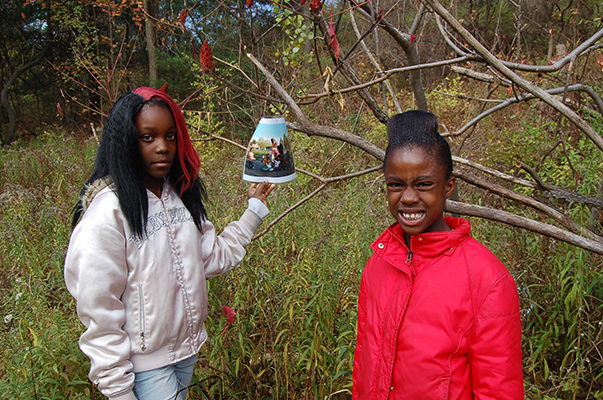 Friends, family and the general public were invited to walk and discover featured stops along the creek route which included an exhibition of photographs by participants installed on sumach trees as well as an installation of papier maché bird sculptures – red winged black birds, kingfishers, and passenger pigeons all of which are current or former inhabitants of the Black Creek. 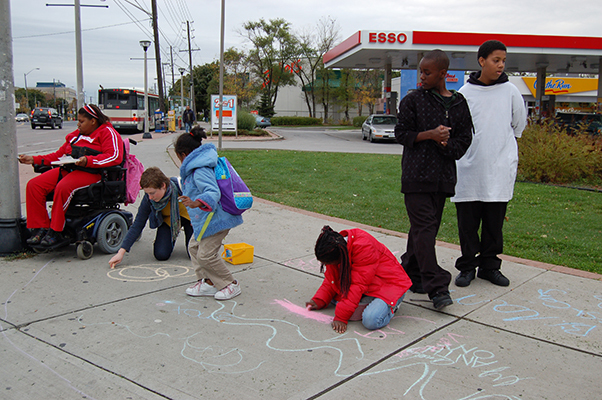 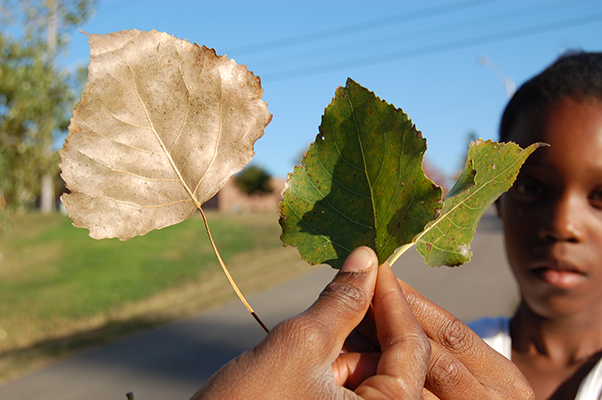 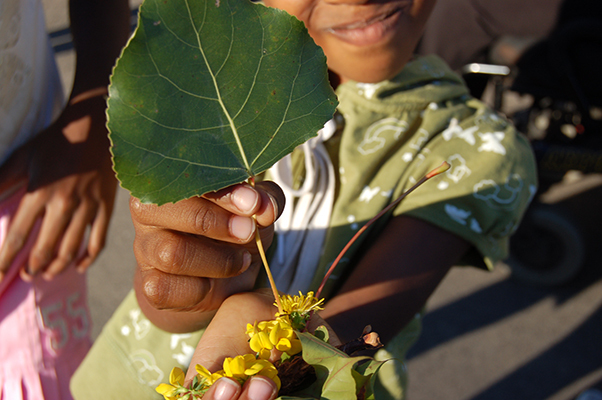 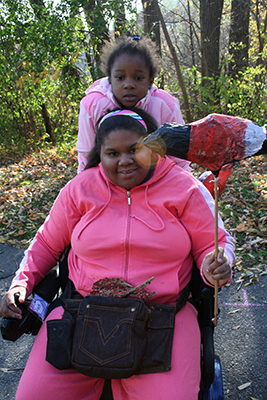 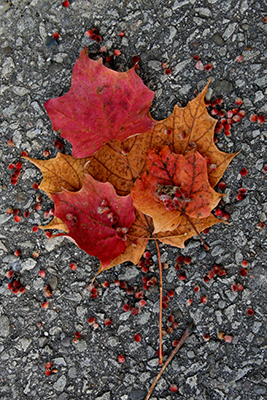 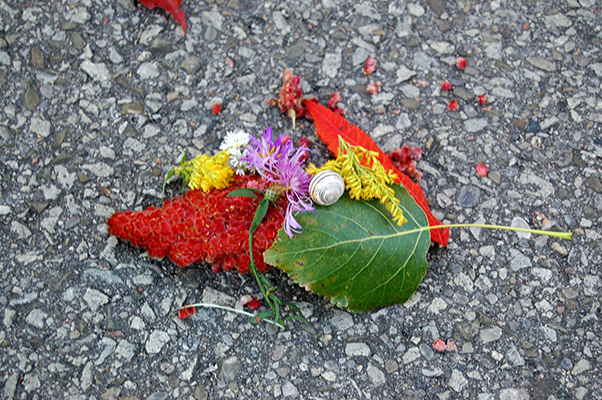 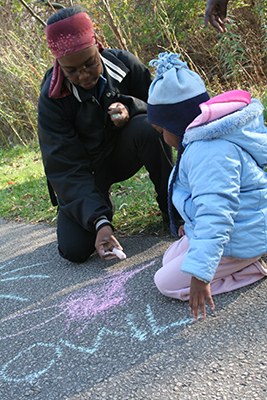 Youth invited participants to create of a series of outdoor art installations using found objects such as leaves, branches, and sumach berries, and also engaged people in outdoor experiential activities such as sound-mapping interventions using sidewalk chalk. 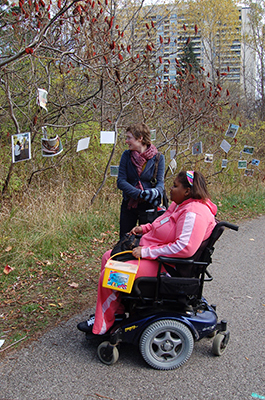 Inspired by the principles of psychogeography, Forsberg and Reinsborough invited workshop participants to take exploratory walks through the community and along the creek as a means of developing their visual and auditory awareness. 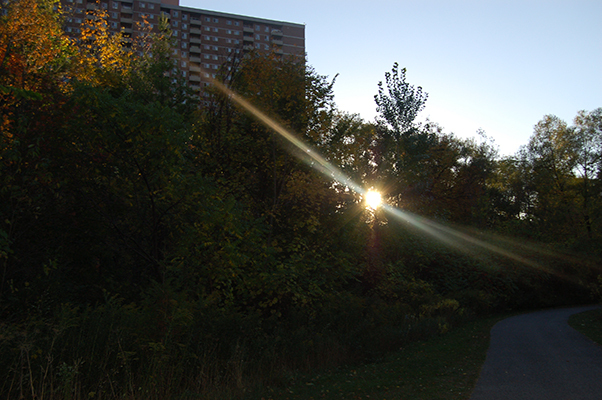 These walks also provided an occasion to recount some recent stories such as the flooding of Finch Avenue and older histories including the area’s agricultural past and aboriginal heritage. 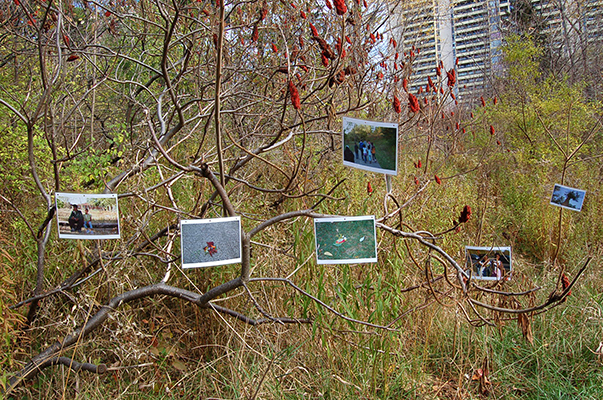 Observing and listening to the overlooked sights/sites and sounds of their neighbourhood, participants performed a perceptual inventory, documenting their visual and textual responses. 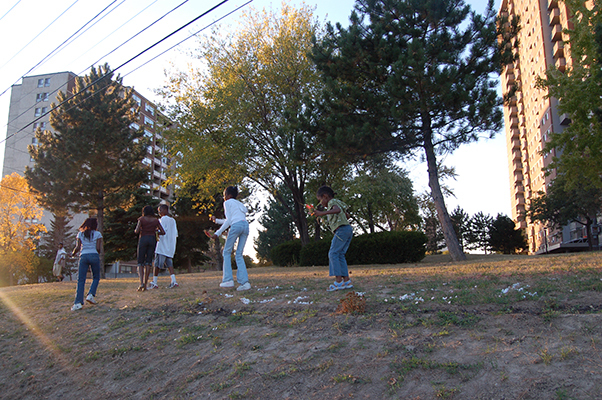 A number of photographs were taken by youth during our exploratory walks through the Jane and Finch neighbourhood while others document the various stages of the workshop. 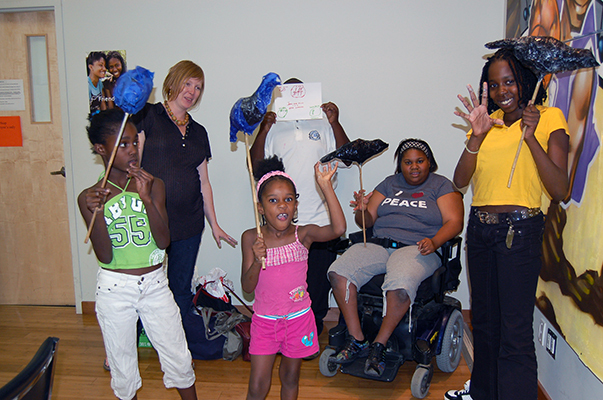 Vanessa Miller, Yolanda Miller, Cassie Morris, Kasey Morris, and Shanniel Thompson.